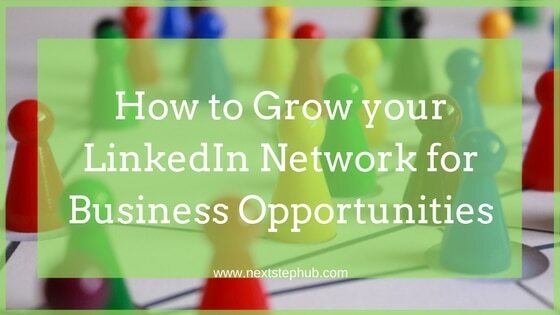 Having a large network on LinkedIn can help establish your brand and grow your business. With proper strategy, you can maximize LinkedIn’s features and boost your business’ success. Here are some tips on how you can expand your LinkedIn network and get high-quality contacts. Your LinkedIn profile is the reflection of your company’s credibility. A well-optimized LinkedIn profile can lead potential clients and connections to your business. Put all the required information in your profile, including appropriate keywords. This will help more people to get access to your profile and know more about your business. Being active on LinkedIn encourages interaction with your connections. They have the chance to comment, like and even share your posts. This is an effective way to build influence with your LinkedIn network. Make sure your posts are relevant to your business. Visibility leads to gaining new connections. Start creating relationships with your network by commenting on other people’s updates. Join conversations on popular posts to build an audience. This way, people will know that you exist. Don’t forget to keep things interesting for your audience. Ask them questions, like what they want to see or what matters to them most. 4. Choose your brand’s ambassadors. One of the best ways to promote your brand is to have your employees as the brand ambassadors. Encourage your employees to add your company page to their personal LinkedIn profiles. This makes it easier for them to share your updates. With these interactions, your brand will be able to reach more people outside of your network. LinkedIn Groups provide a channel to share content, recruit talent and look for work. Find a group that fits your business and be active in it. Make sure that you communicate with other people by commenting on their posts. Join group discussions and share content that will be useful to everyone. You can create a LinkedIn vanity URL and attach it to your emails. First, click the gear icon next to your LinkedIn URL in the ‘contact info’ section of your profile. Then look for the Your Public Profile URL section on the next page. Once you’re done, you can now add it to your email signature so people can connect with you. Share your LinkedIn profile on your social media accounts. It’s a great way to draw your audience towards your LinkedIn profile. Be careful about sharing tweets and statuses from other platforms. LinkedIn is a professional network. You wouldn’t want to annoy your network with all the tweets you send out. Use the Analytic Tab on your Company Page to track the growth of your follower community. The Insights and Page will help you find your most popular updates and the least ones. This will give you valuable insight that you can use for your future posts and strategies. Should you be a LION? LinkedIn Open Networker (LION) is an open networking feature. It lets you receive connection requests from people you don’t know. LinkedIn gave all members access to its publishing platform which is useful. It also can bring risks like spam, invasion of privacy or identity theft. If you want to be a LION, leave your phone number and address out of your profile Contact Info. In your Privacy and Settings, choose “Only You” can see your connections. Like other social media sites, LinkedIn continues to develop and add new features. It is important to refresh your LinkedIn strategy every time a new feature is available. Join our LinkedIn group today and grow your network!